I love coming across new books, especially children’s books. When Borders the book shop existed, I used to take the children in there and we would spend ages reading books, always coming away with a couple of new ones. We could easily spend a couple of hours in there. With World Book Day upon us this week and the school book fair next week, no doubt the children will have their eyes on some new titles. I frequently get asked by the boys in particular “can we go book shopping Mummy?” which is so lovely. Given the focus on books this week, I thought I would mention a few of the new things on our bookcases. 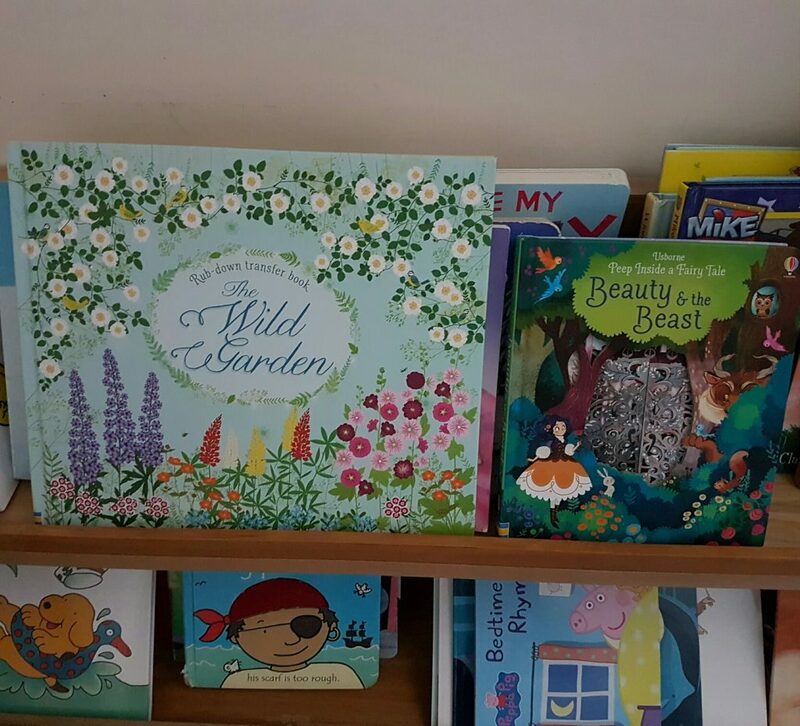 The Wild Garden rub-down transfer book which is the perfect gift for Mother’s Day and a creative and therapeutic experience for children and adults alike. The book, is brimming with eleven exquisite gardens. Each ‘garden’ has a delicate line drawing to colour in and a colourful picture to fill with beautiful rub-down transfers of flowers, butterflies, birds, frogs and fish, which are stored in a handy envelope at the front of the book. Peep Inside a Fairy Tale Beauty and the Beast which will coincide with Disney’s new live action Beauty and the Beast movie. Peep Inside is one of Usborne’s bestselling preschool series, with over 10 million copies sold worldwide. Peep Inside a Fairy Tale Beauty and the Beast will delight and enchant children and parent alike, with fabulous illustrations by Lorena Alvarez. They will love discovering the intricate cut-outs, layered to create a magical filigree effect lifting the flaps to see inside the Beast’s house or peeping through the windows to see the beautiful flowers in the garden. The illustrations in this book are stunning and it’s so colourful and engaging for little ones. 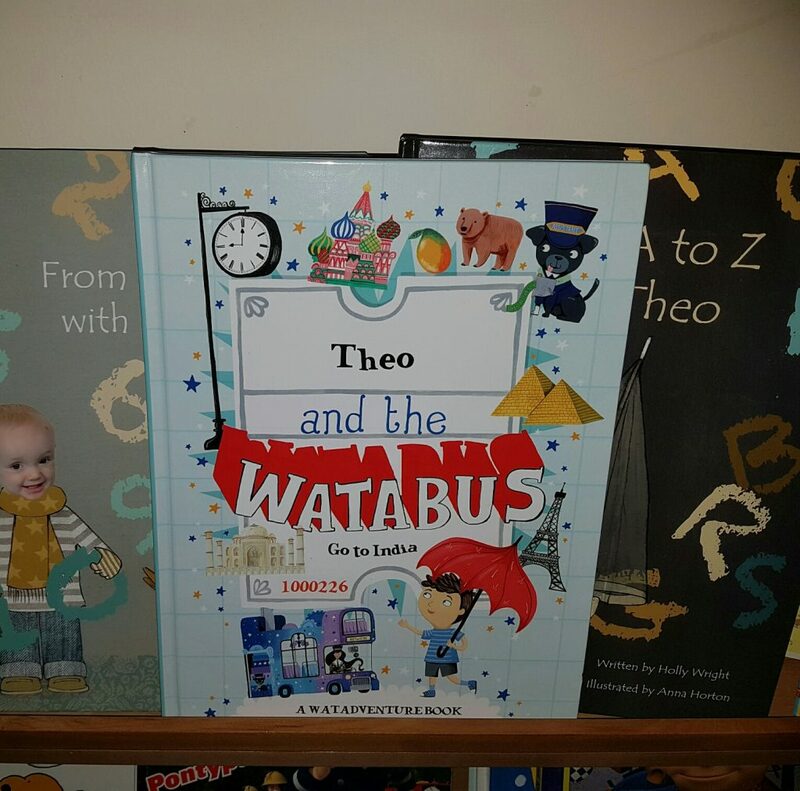 Watadventure, a new publishing company specialising in personalised children’s books, has just released the first book of their series. It lets the reader customise various elements in the story, including the main character. You pick their name and gender, as well as create an avatar to match your child’s physical appearance and clothing preference. In Watabus, the bus and its conductor brings you into realm of imagination where you’re traveling to India. You get to experience the culture of the street markets, see native animals and visit other main attractions to give you a taste of life on the other side of the world. The first question I had was “Mummy how did I get in the story?”, which made it a personal reading adventure. The illustrations are first class and utterly charming and there is so much happening in the book. We can’t wait to see where other adventures head with Watadventure. Children can be much more interested if they’re personally involved in some way. That’s why Watadventure has developed for the first time, through new progression in technology, a book that fully incorporates your child in the story. If you have a special little one in your life, why not try it out? We’d love to hear about your experience, it’s a wonderful gift, as well as something to spoil a child. £1 of every book sold goes to charity too, to the Rainbow Children’s Charity that provides emotional and practical support to families who have a child with a life threatening or terminal illness, giving these books the feel-good factor as well. This is a glorious bed time read with a child and these books are superb quality. For any Teletubbies fans there is a new title to celebrate their 20th anniversary. 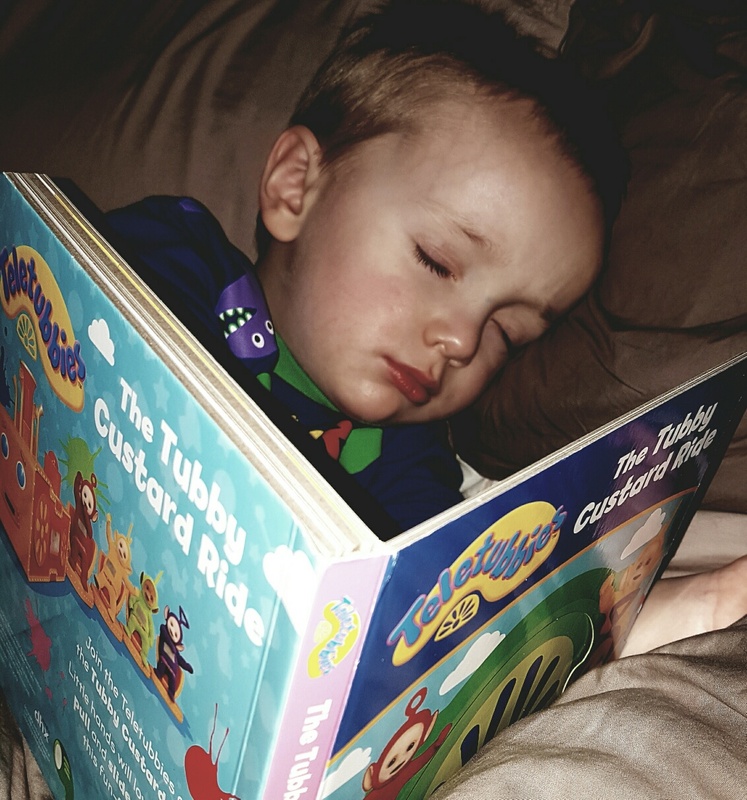 The Tubby Custard Ride will delight your little ones and is a very cute bedtime read. This one had to read it to himself just one more time! Are your children doing anything for World Book Day? What’s new on their bookshelves at the moment? Any recommendations? I miss borders. My daughter went dressed as a pirate. She was the only girl not wearing a princess dress.